For a fourth year in a row Raven Dunbar's Artistic Visions Dance Company will present a modern dance show to the theatre's community. 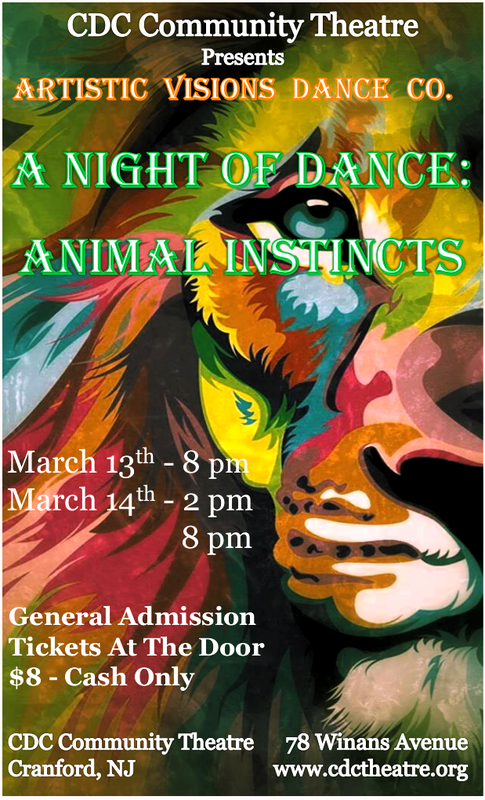 The parallels between human and animal instinctual behaviors, patterns, and ways of life are showcased. All proceeds will be donated to CDC Community Theatre.